Selçuk is one of the most visited tourist destinations in Turkey, due to its close proximity to the ancient city Ephesus, Isa Bey Mosque, the House of the Virgin Mary and St Johns Basilica. 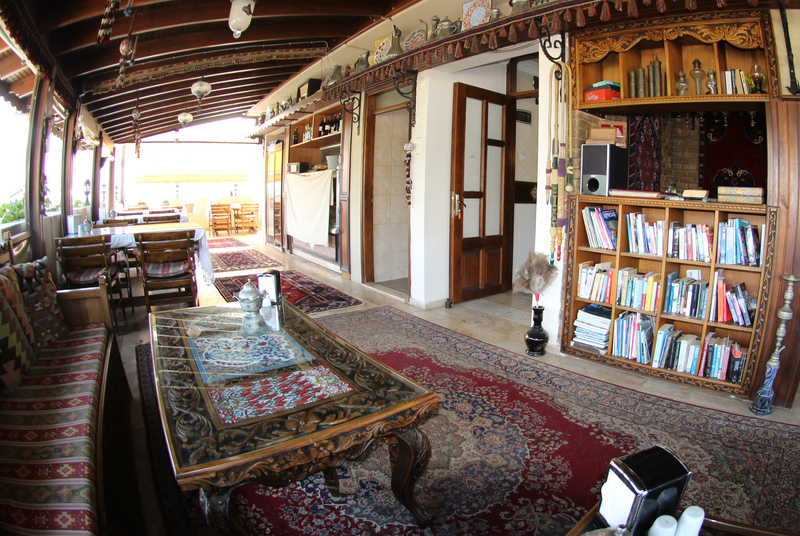 Since the town is used as a stopping point for further travel, the actual town remains relatively undisturbed and undeveloped, retaining Turkish tradition and culture. 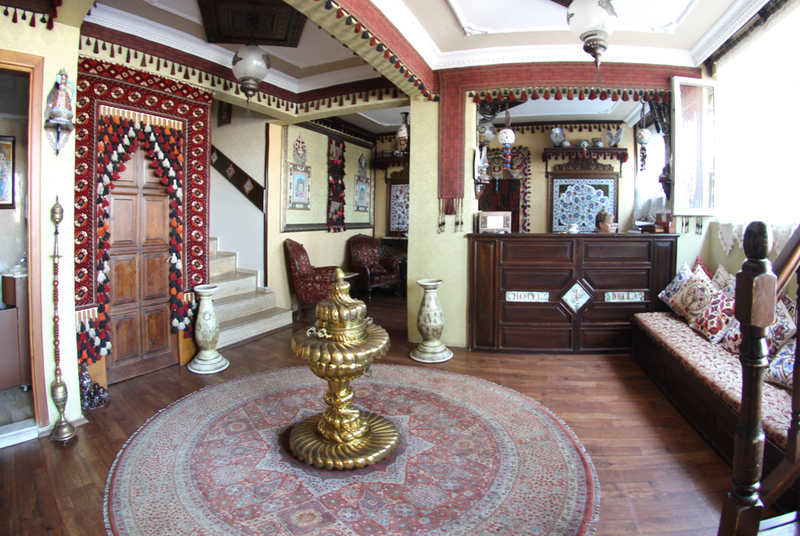 The name originates from the Turkish tribes that settled in the area in the 12th century. Ephesus is probably the best preserved city in the eastern Mediterranean, with only an estimated 15% having been excavated. The city hosted one of the seven churches of Asia as addressed in the Bible and it is thought that the Gospel of John was written here. It is also a graveyard of a large number of gladiators. 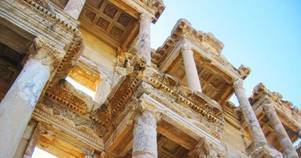 There are many spectacular ruins to see in Ephesus. 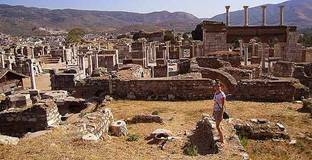 Some of these include; the Marble Sacred Street, connecting to the Great Theatre, the Library of Celsus, the Commercial Agora, Gate of Augustus, Temple of Hadian, the Odeon, The Terraced Houses, baths, brothels and interesting private houses. This Basilica was built in the 6th century AD, under the orders of emperor Justinian I. It is thought that the Basilica is built over the burial site of St John, also known as the apostle, evangelist and prophet. This fact made the site sacred and was the place for many pilgrimages. The Basilica fell into ruins after Arab raids, only to be converted into a mosque in the 1330’s. In 1402 the building was completely destroyed by the Mongolian Army; however restoration still enables visitors to understand the size and visualise its former brilliance. 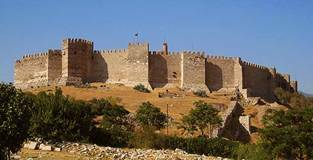 An Ottoman Castle located right besides St. John's Basilica, overlooks Selcuk town. 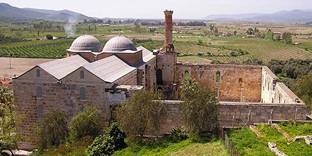 The IsaBey Mosque was constructed in 1375 and is one of the oldest and most impressive works of architecture remaining from the Anatolian times. It sits at the foot of the Ayasuluk Hill between the Saint Jean Church and the remains of the Temple of Artemis. The house of the Virgin Mary, known in Turkish as Meryemana, is believed to be the place she was brought to by St John at the end of her life. 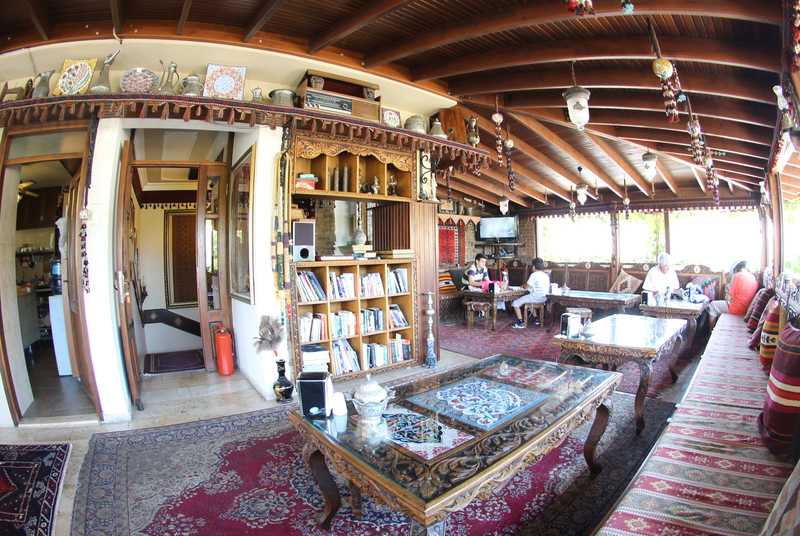 It is located on top of Bulbul Mountain and also offers great views of Selcuk town. The Grotto of the Seven Sleepers is located on Mount Pion, near Ephesus and is the site of many different religious myths. According to Christian legend seven persecuted Christians fled from Ephesus and took refuge in a cave, possibly a landslide sealed the entrance trapping them inside. Two centuries later an earthquake revealed the cave and the seven sleepers awoke and wandered into town, only to discover, their friends were dead and it was thought they had undergone some sort of resurrection, resulting in a cult following. In the Koran it is stated that the sleepers slept for 309 years in their tombs and Christians built a church above the Grotto. Only after the excavations of the church were the tombs discovered. The Grotto is actually a Byzantine necropolis, with tombs cut into the rocks. The area is well known for its famous Turkish pancakes - Gozleme. 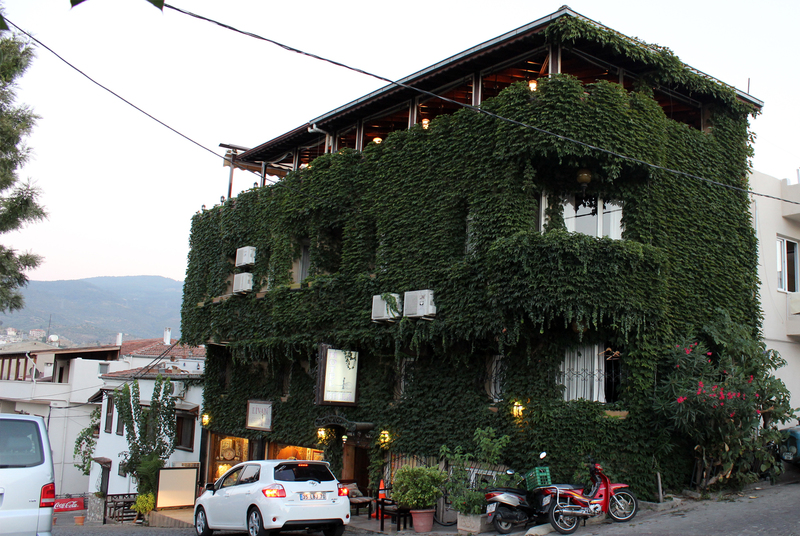 Places near & far, worth visiting while basing your self in Selcuk. We are happy to help you either directly from the hotel, or through our travel agaency ‘Enchanting Tours’, with either private or, agency guided tours, to the below areas and to other places in Turkey. Located on the Aegean Coast, it is a major resort town and harbour for cruise ships. Its close proximity to the Greek Island Samos, makes it a prime stop for tourists. The towns population of 50,000 hitting half a million during the peak travelling months…. (Tickets and trasnfers for Samos Ferry available from the hotel). Is the third largest city in Turkey, with the second largest port and a very modern setting in comparison to other cultural centers. Izmir is regarded as one of the most progressive cities in Turkey….just a little over 1 hour by train or bus. Cesme is located on the west coast of Turkey, in the province of Izmir. It is a town that thrives on tourists and is well known for its clubs, beaches, restaurants, boat trips, wind surfing and easy access to the Greek island of Chios…between 2-3 hours by bus. 2000 years ago, Bafa Lake was a bay in the Aegean Sea called the "Gulf of Lade". Deposits in the river Menderes the bay to silted up and was slowly separated from the sea. This area forms one of Europe´s biggest bird refuges. The mountains are an excellent area for hiking and trekking tours. Since 700 A.D hermits and monks have left their mark. Byzantine monasteries and hermit caves are a favourite destination. Wondering the village of Hierakliea you will find many ancient ruins....1 ½ hours by car. Sigacik lies between the headlands of Doganbey Burnu and Teke Burnu. Teos was founded in 1050-1000 BC. İncluding the largest of all Temples to Dionysus, Hellenistic walls, a theatre, acropolis and gymnasium. Today Sigacik is a magnet for wind surfers, sailors and rock climbers.A traditional village, but up to speed…being part of the ‘Slow Food’ movement.